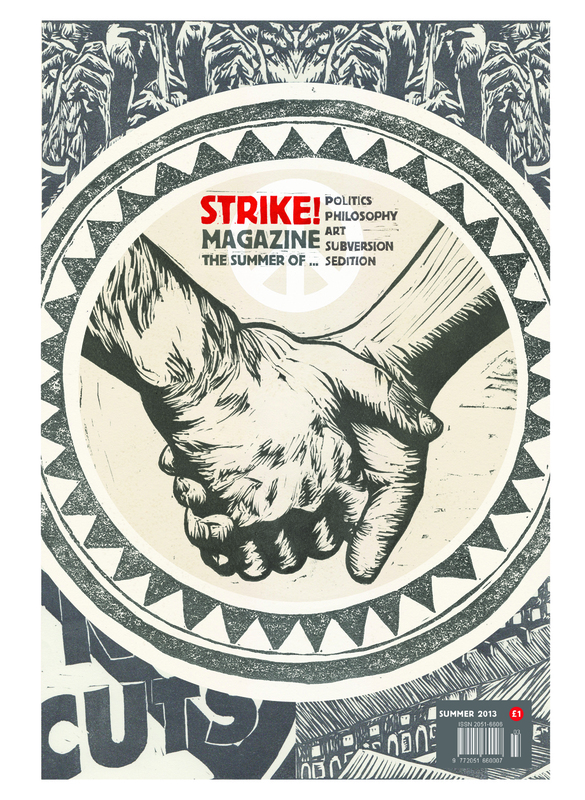 I have a piece in the new issue of Strike! Magazine, which you can get here for just a quid, or preview here. It’s all about possibilities, about being bored, hungry, shattered, skint, and below is quick excerpt. The evening’s gentle sun is sinking, and the red skies above the soon to be demolished council high-rises carry an air of extraordinary beauty, simplicity and peace. Keep following the excellent Strike at http://www.strikemag.org. Posted on July 25, 2013 by JD Taylor	This entry was posted in Political. Bookmark the permalink.